This week’s Apple (News - Alert) event was all about the new iPhones (Plural! Gold! Plastic! ), but Apple is planning a revamp for its TV strategy as well, according to sources familiar with the company. According to Peter Kafka over at AllThingsD, Apple has scheduled an “internal overhaul” of its Apple TV software for Sept. 18, which, incidentally, is the same date that iOS 7 is scheduled to be pushed out. Assuming that the long-rumored Apple HD connected TV isn’t part of the equation—yet—then the software launch will bring some new approaches to its existing palm-sized streaming box. Kafka said that one feature that Apple’s working on is a new version of AirPlay (News - Alert), which is the feature that lets iTunes users stream content from one device to another over an in-home wireless connection. The new version will allow consumers to stream their content from their device to someone else’s Apple TV—so the iTunes accounts that paired devices are connected to no longer need to match, and content can be streamed directly from the cloud. The AirPlay refresh is critical competitively, thanks to the launch (and subsequent sales) of the Google (News - Alert) Chromecast dongle. The $35 device is an Internet-connected flashdrive that plugs directly into an HDTV to stream content from the cloud or other devices. Content-wise, it offers YouTube (News - Alert) (‘natch) and Netflix as the predominant options. 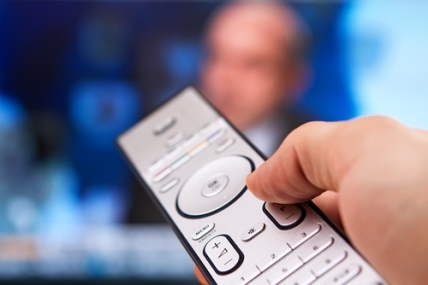 Viewers can use a smartphone, tablet or computer as a remote control. The Roku OTT streaming box has stepped up lately too. Its Play on Roku feature allows users to stream content from iOS and Android gear, while presenting a variety of metadata. For instance, if a user streams music, the cover art and information about the artist is also presented, along with the ability to run songs over slideshows. For video, anything that's recorded on an Apple or Android mobile device can be presented via Roku, as long as the content had not been previously synced. There are, of course, big implications for the intersection of online video and TV as more and more of this type of functionality emerges to make it easier to discover and watch over-the-top (OTT) content on the big screen. Already, online video consumption has crossed the chasm into mainstream. New research recently revealed that more than half—51 percent—of the U.S. population aged 13 to 54 now watches TV programs or movies online, at least once a week.